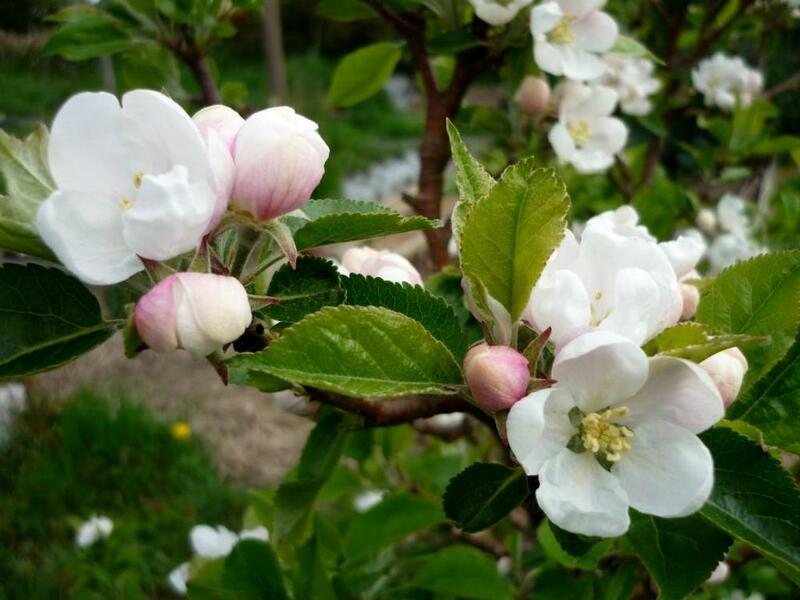 Join us at Ringmer Community Orchard, a beautiful orchard of heritage apple, pear and plum trees planted in December 2005 on Broyle Place Farm, land kindly donated by Anthony Tasker. Many of the trees are traditional Sussex varieties, such as Claygate Pearmain, Saltcote Pippin and Crawley Beauty. Members work together, learning as we go, cultivating the site organically. We encourage wildflowers and grasses on the site and don't use insecticides or pesticides so there is always something to do. Jobs include clearing around the trees and adding a good layer of mulch, thinning out the young fruit or adding little weights to young branches to encourage a good crop. We welcome all skill levels and have jobs that are not too strenuous. Email us if you are interested in finding out more. Check our diary for forthcoming events and activities. For information on all our fruit trees download details here. 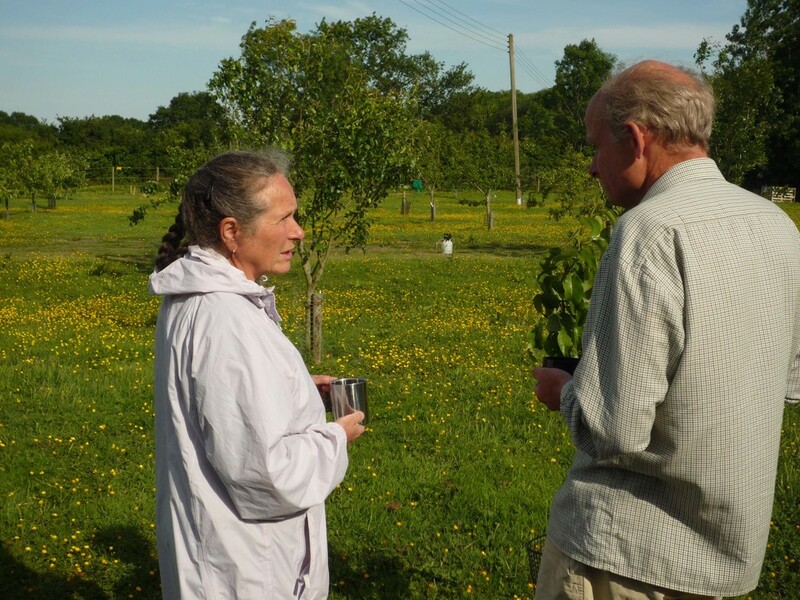 If you would like to find out more or get involved and help us manage the orchard then contact us today. Each member commits to about six hours a year and you can decide when you come so that it fits in with your other commitments. 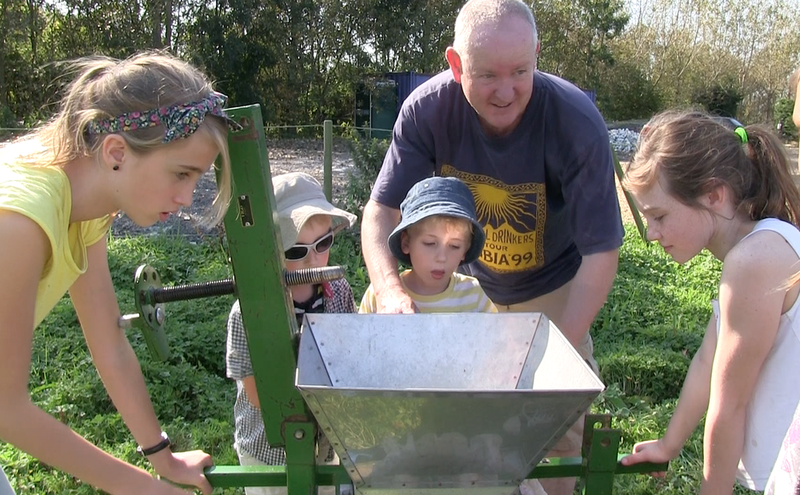 When you join we will meet you at the Orchard and provide a short series of guided sessions to give you the skills and knowledge you need to get going. The rest will build up as you go through the year. If you don't want to commit time but would like to support the Orchard then maybe our "adopt a tree" scheme is best for you. All members and supporters receive a share of the harvest and can buy our own pasteurised apple juice at a reduced price. Anyone can buy the surplus fruit and our own apple juice from us, you don't need to be a member. These are available occasionally at some local butchers depending upon supply. We host a variety of workshops and events throughout the year. These are run by local orchard experts. In early Spring and August we put weights on the upright branches for 6 weeks. This helps encourage more fruit and better air flow through the branches. We manage the site to encourage a diverse range of native wildlife. There are plenty of moths, bats, and birds and an increasing number of wildflowers growing there. We have approximately 70 trees at the Orchard chosen to give us a range of ripening dates and both cooking and dessert apples.